3,000 Bottles Now Available in the U.S.
Aliso Viejo, California (September 15, 2017) – In honor of National Hispanic Heritage Month, Tequila Corralejo® has released 1,000 cases of 1821 Extra Añejo (1821) in the U.S. The limited-edition expression, imported by Infinium Spirits, is the latest offering from the award-winning line of premium tequila expressions. 1821 represents Mexico’s rich history and hard-fought sovereignty led by Don Miguel Hidalgo y Costilla, a noble priest born at Hacienda Corralejo. He’s renowned for launching the Mexican War of Independence in 1810 in revolt against the injustices of a tyrannical Spanish government against Mexico’s poor. Although Spanish rule was officially abolished on August 24, 1821, Hidalgo is memorialized as the Father of his Country and Mexican independence. As with all of the brand’s expressions (silver, reposado, añejo),1821 was produced with only the finest 100% Blue Weber Agave tequila at Hacienda Corralejo in Guanajuato, Mexico. Corralejo employs the 400-year-old Charentais method of distillation, the same method perfected by the French in distilling cognac, which is what sets Corralejo apart from other tequilas. The agave is slow cooked in stone clay ovens for 27 hours, then rested for 12 hours before going to the mill to be double distilled in copper pot stills. A fine selection of small American oak barrels provides roasted hints that add to the tequila’s excellent flavor. 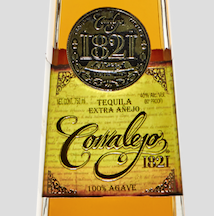 1821 was aged for 36 months to yield a tequila with impeccably smooth flavor. A beloved brand in its home country of Mexico, Corralejo is also the number three selling ultra-premium tequila brand in the U.S., according to AC Nielsen, appealing to both acculturated and unacculturated Hispanics. As one of the few tequilas produced in Guanajuato, Mexico, Corralejo’s deep roots and production methods are unique in the tequila industry, dating back to 1755, when Hacienda Corralejo became the first estate in Mexico to produce tequila as a commercial venture. Managing Director Don Leonardo Rodríguez Moreno, a 25-year industry veteran, is key to maintaining the artistry and craftsmanship for which Corralejo has become known. 1821 is now available in the U.S. in 750ml bottles for the suggested retail price of $129.99, which may vary by market. A remarkably complex tequila, at 80-proof and 40% alcohol by volume, 1821 is meant to be sipped and savored. The distillery is located on the grounds of Hacienda Corralejo, the birthplace of Don Miguel Hidalgo y Costilla, about 70 miles outside of Guanajuato, Mexico. Tequila Corralejo is one of a handful of tequila companies granted the right to produce tequila outside of Jalisco. The sleek premium 1821 bottles, produced at a glass factory also owned by Moreno, a few miles away from the distillery, are sold in an artfully designed golden box. Chicago (September 2017) – Artmill, the leading online provider of contemporary framing alternatives for photographs and art, offers 10 modern, customizable and affordable options to help enthusiasts enhance and update interior décor. Customers can create their own ideal, and unique, areas by bringing art to life. Headquartered in Chicago, Artmill offers a full range of styles and sizes for people searching for unique mounting options, which transform their favorite pieces from a digital file to framed art. From the simplicity of a plaque to the sophistication of gallery-style acrylic finishes, Artmill boasts a style to fill any artistic whim. Office/building managers seeking stunning art to breathe life onto barren office walls. Large scale art in homes make a bold statement, allowing people to truly express themselves, create mood and draw the eye. Artmill’s sizes range from as small as 5”x7” all the way up to 5’x10’, the largest single panel available. Even larger pieces can be stitched together with the panels, making the sizing options truly limitless. As long as the resolution is high enough, even the smallest images can be blown up, creating art that is truly larger than life. Likewise, Artmill can print photos, including panoramic prints, on everything from glass to wood. The process is simple – select a customizable frame online, upload an image, select a size, and receive the ready-to-hang artwork, which ships out in about a week. When an order is complete, Artmill can provide free installation locally (in Chicago). All finished products are delivered ready to mount. Artmill’s care and attention to detail are unparalleled. One craftsman works with each submission until it’s completed, eliminating the risk of blemishes and ensuring every step is perfect. Unlike other online framing sites, there is a “live” person behind Artmill’s support, every step of the way. Founded in 2014, Artmill combines years of trained printing, mounting and framing experience to develop innovative and unique ways to showcase photos and artwork, at an affordable price. Artmill’s mission is to use their gallery mounting experience to provide professional-level quality to all, offering new options to the art enthusiast, professional photographer or office/building manager. Bardstown, KY (September 13, 2017) – The Bardstown Bourbon Company (“BBCo”) and Copper & Kings American Brandy Company (“C&K”) announced today the release of “Collabor&tion,” two distinct products made with 10-year-old straight bourbon whiskey – one finished in Copper & Kings’ American Brandy barrels and the other in Muscat Mistelle barrels, for more than 18 months in the Copper & Kings basement maturation cellar. The project is intended to embody the spirit of friendship and partnership, and celebrates great craftsmen working together to produce exceptional products as kindred spirits. 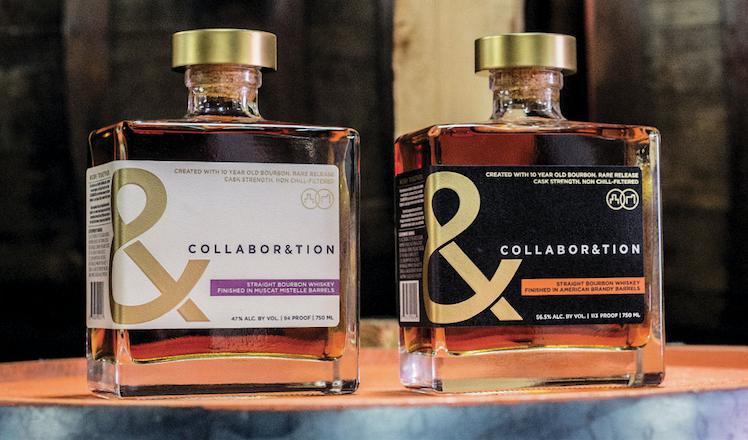 Started in late 2015 by two Kentucky-based distilleries, Collabor&tion is a culmination of nearly two years of work. Steve Nally, Bourbon Hall of Fame Master Distiller for BBCo, and Brandon O’Daniel, Head Distiller for C&K, hand-selected the bourbon for the project, meticulously blended it until it achieved the right flavor profiles, and chose the barrels for the finishing process. “A Mistelle barrel is a unique vessel. Mistelle is unfermented grape juice (in this case Muscat) fortified with un-aged brandy (Muscat eau-de-vie) and then aged in bourbon barrels for 18 months. The empty barrels are deeply and highly caramelized with the grape sugars and fruit essences. The whiskey exiting these barrels is pure joy. A completely novel sensory experience; deep, deep rich whiskey – very soft and supple, mellow, and the taste goes on forever. The whiskey notes are amplified by a softness and smoothness that is singular – to say the least. I could literally sip this for the rest of my life,” said Brandon O’Daniel, Head Distiller of Copper & Kings. The bourbon used to produce Collabor&tion was distilled in Indiana in 2006 by Lawrenceburg Distillers, now MGP, and is made from 75% corn, 21% rye, and 4% malted barley. The Collabor&tion expression aged in Copper & Kings American brandy barrels is bottled at cask strength of 113 proof. The Mistelle barrel finish is bottled at cask strength of 94 proof. Collabor&tion is a very limited release that’s only available in select Kentucky retail stores, at the BBCo and C&K gift shops, and a small selection of fine retailers across the USA. Raised on a farm in Jessamine County, Brandon O’Daniel is a proud alum of the University of Kentucky’s School of Horticulture. Over the past several generations, the O’Daniel family name has become associated with wine making and viticulture in the Commonwealth. Brandon did not stray from this tradition. While at UK, he earned both his BA and MS in Plant and Soil Sciences. His undergraduate work led him to focus on horticulture management. O’Daniel’s graduate studies emphasized research in Viticulture and Enology. As a winemaker and vineyard manager, he honed the skills needed for his current and next challenge as head distiller at Copper and Kings, where he is proud to be a part of what he believes is the next big thing in the spirit industry. Steve Nally is the Master Distiller for the Bardstown Bourbon Company. With more than 40 years of experience in the whiskey industry, Steve is heading the development and production of the Bardstown Bourbon Company’s distillery. Steve is a member of the prestigious Bourbon Hall of Fame and the former master distiller of Maker’s Mark for more than 18 years. After retiring from Maker’s Mark, Steve was recruited to build Wyoming Whiskey, which produced the first legal bourbon west of the Mississippi. At Wyoming Whiskey, Steve was the master distiller and also oversaw the construction of the company’s distillery. Steve and his family returned to Kentucky in 2013 to join The Bardstown Bourbon Company. BBCo is also developing a destination experience with a unique “Napa Valley” style campus featuring a state-of-the-art whiskey distillery, transparent educational experience, integrated visitors center, event space, vintage spirits and whiskey library, bar, and restaurant. The company also plans to develop a boutique hotel and convention center on the property. The Company anticipates announcing an opening date for its visitors’ center in the near future. Copper & Kings uses small batch copper pot-distillation to forge untraditional, non-derivative, pure pot-distilled American apple and grape brandies, absinthe, gin and Destillaré liqueurs, that are non-chill filtered with no added sugar, colors or synthetic chemicals. The state-of-the-art distillery exclusively focuses on the distillation of brandy based spirits. Copper & Kings, located at 1121 E. Washington St. in Butchertown, is owned by beverage entrepreneurs Joe and Lesley Heron. For more information, visit www.copperandkings.com or follow @CopperAndKings on Facebook and Twitter. It’s not always easy to know how a man is really doing, which is why the Movember Foundation is encouraging the people around men to take themselves off mute and ask a man if he’s doing O.K. USA – (September 7, 2017) – In the lead up to World Suicide Prevention Day on September 10, leading men’s health charity the Movember Foundation is helping to ignite potentially life-saving conversations through their Unmute – Ask him campaign. In addition to funding more than 1,200 innovative men’s health projects across 21 countries focused on prostate cancer, testicular cancer, mental health and suicide prevention, the Foundation is also shedding light on the role of men’s support networks – family, friends and partners – who can help men to remain mentally well through practicing active listening and maintaining social connections. 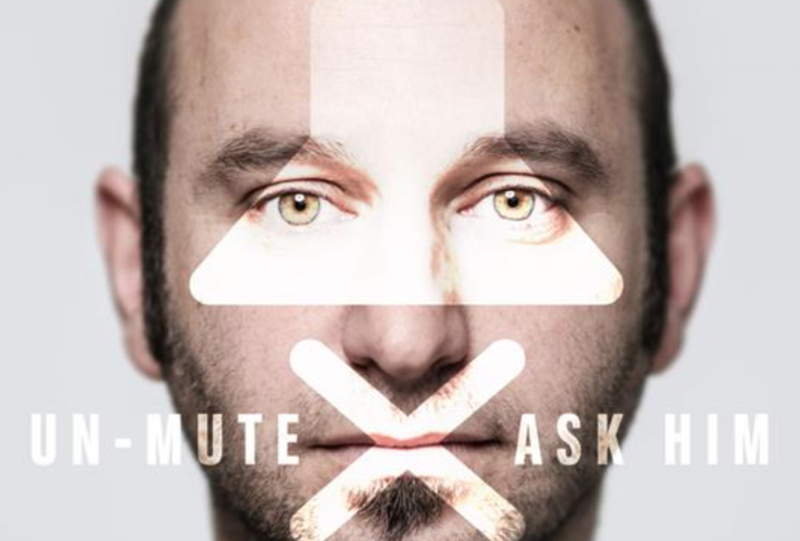 Now live as of September 7, Unmute – Ask him signals the start of a month-long campaign by Movember to encourage open conversations around men’s mental health as a way to ultimately reduce the high rate of male suicide. Disguised as a series of how-to videos where a man takes the viewer through simple tasks, such as ‘Make a soda can fishing rod,’ ‘Never run out of a gas again with this simple trick,’ and ’Fix a Flat’ – each video demonstrates the importance of taking the initiative to ask men how they are doing, and not just assuming everything is O.K. While the video subtitles appear to mirror the men’s actions, when the viewer unmutes, they’ll hear a completely different story – about men who are beginning to show signs they are struggling. “Our research has shown that a majority of men say they are there for their friends when they need support, yet considerably fewer men are prepared to go to someone when they’re struggling themselves – bringing to life the need for those around men to take themselves off ‘mute’ and start the conversation,” says Craig Martin, Global Director, Mental Health & Suicide Prevention at the Movember Foundation. “As part of our strategic vision to support men and boys being mentally healthy and taking action during tough times, backed by their friends, family and community, Movember is building capacity around men, to ensure more men talk and feel the benefits of being heard,” he said. The Movember Foundation’s suicide prevention campaign is a key strategic element of their goal to reduce the rate of male suicides by 25%, and ultimately, the number of men dying prematurely by 25%, by 2030. To learn more about how you can effectively help the men in your life open up and to view and share the Unmute – Ask him videos visit www.movember.com/iwanttoask. The Movember Foundation is the only global charity focused solely on men’s health, funding over 1,200 innovative projects across 21 countries. To date, they have raised hundreds of millions for men’s health programs supporting these critical areas: prostate cancer, testicular cancer, mental health and suicide prevention. Go to Movember.com to donate or participate. Bardstown, KY (September 6, 2017) – The Bardstown Bourbon Company (“BBCo”) announced today the expansion of its capacity to allow production of up to six million proof gallons – a move that will make it one of the largest bourbon distilleries in the world. With an annual production capability of nearly 100,000 barrels, BBCo will provide needed capacity for its customers in its Collaborative Distilling Program, take on a select few additional customers, and meet the needs for its own brands. BBCo anticipates the expansion will be complete by July 2018. BBCo’s Collaborative Distilling Program is a unique model in the American whiskey market. This first-of-a-kind service provides craft distillers, non-distilling brand owners, and existing brand owners the ability to: (1) work side-by-side BBCo’s production team to create their own authentic and innovative Kentucky whiskey, bourbon, and rye products and mature them onsite; (2) ensure consistent, high quality production that can rapidly scale; (3) control the future source for their product; and (4) provide a production location and environment that they can celebrate and promote. The program has a very limited number of customers and is restricted to only those companies that qualify under its stringent eligibility requirements. To meet demand for the Company’s Collaborative Distilling Program, BBCo assembled one of the most experienced whiskey distilling teams in the industry. The team is led by Bourbon Hall of Fame Master Distiller, Steve Nally – a 40-year veteran of the spirits industry and the former Master Distiller of Maker’s Mark, and John Hargrove, Executive Director of Distillery Operations, formerly Master Distiller and Distillery Manager, at Sazerac and Barton Brands 1792. With more than 30 production employees, the team has an average of more than 15 years of whiskey making experience, working with world-class distilleries such as, including Jim Beam, Maker’s Mark, Barton Brands, and Heaven Hill. Within months of announcing the Collaborative Distilling Program in 2016, BBCo sold out all of its original 1.5 million proof gallon capacity. In 2017, the company doubled capacity to three million proof gallons, which is currently sold out through 2018. Construction for the distillery expansion will be led by Buzick Construction of Bardstown, Kentucky. Buzick Construction built the distillery, expanded it to its current three million proof gallon capacity, and constructed the two 22.5k barrel warehouses on the property. At the current production rate, BBCo will build two 22.5k barrel warehouses per year. The Company plans to start construction on its third barrel warehouse in October 2017. As part of the expansion to six million proof gallons, BBCo will install a second 36 inch, custom Vendome Copper & Brass Works still, another 12.5k gallon cooker, and up to 16 additional fermenters. In addition to its Collaborative Distilling Program, BBCo is also developing a destination experience with a unique Napa Valley style estate featuring a transparent educational experience, integrated visitors center, event space, vintage spirits and whiskey library, bar, and full-scale restaurant. The company also plans to develop a boutique hotel and convention center on the property. The Company anticipates announcing an opening date for its visitors’ center in the near future. BBCo is also in the process of developing its own unique line of bourbon, whiskey, and rye. The company anticipates having brands ready for the market starting this year.